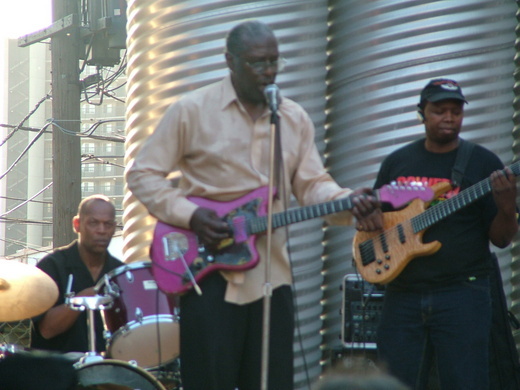 South Africa's Vuyani Wakaba is the bassist for the Chicago blues legend Eddie C. Campbell. Vuyani is also the bassist for the Chicago jazz group 5 Aftr 5 (www.myspace.com/5aftr5) and is the founder of the Chicago jazz fusion band Actual Proof. 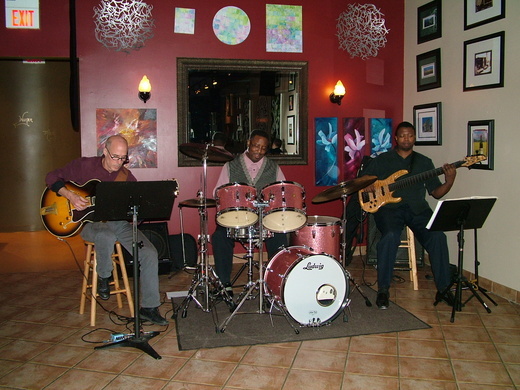 Occasionally Vuyani plays with Phil Upchurch Jr., as well as with Chicago's world music group The Dadabeat (www.thedadabeat.com). Vuyani is often called to play for the Sing To Live Community Chorus (www.singtolive.org). 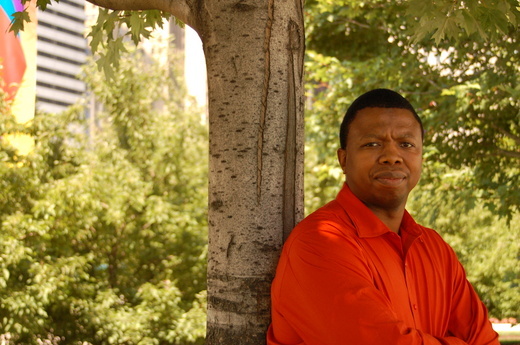 Other engagements on Vuyani's calendar often include performances in the Pacific Northwest of the United States, as well as freelance work. 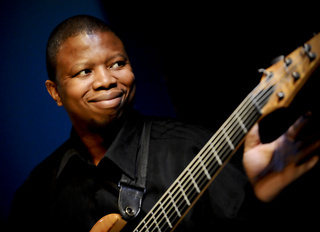 Among Vuyani's musical achievements are performances at the Fox Television stage of The Taste of Chicago Festival, The Erie Jazz and Blues Festival in Erie, Pennsylvania; An invitation to be a staff member at Victor Wooten's Bass/Nature Camp; Appearances on WGN Television Morning Show and South Africa's S.A.B.C. Television network. 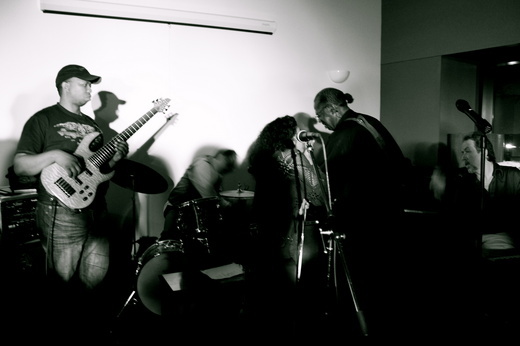 Vuyani Wakaba plays jazz, blues, funk, soul, R&B, and fusion. 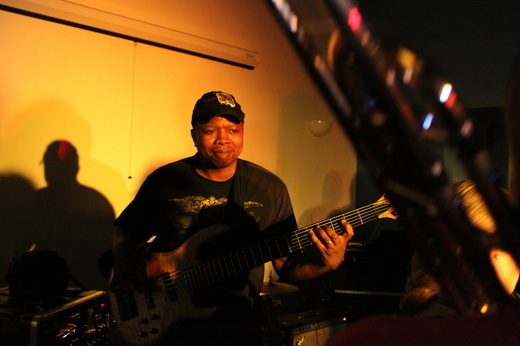 Vuyani is a rock solid supportive bassist in every performance situation and he prides himself on being reliable, trustworthy, and always prepared. 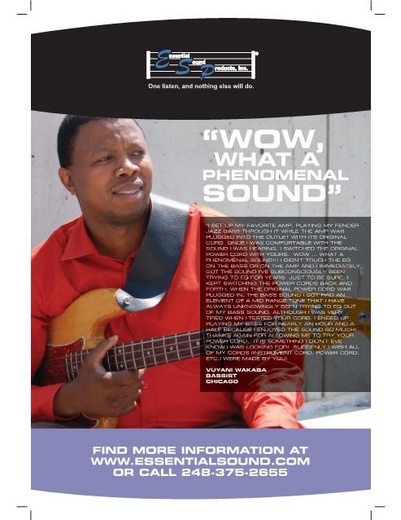 An article was featured in Bass Frontiers Magazine announcing a bass performance event in Chicago. 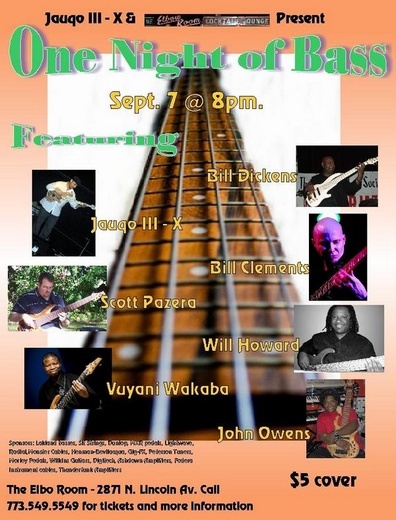 This event features the following bassists with their bands: Vuyani Wakaba, Bill Dickens, Scott Pazera, John Owens, Bill Clements, Will Howard, and the event organizer Jauqo III-X. Vuyani Wakaba endorses Centrance (www.centrance.com) products. He uses the Centrance AxePort Pro for multi-track recording while on the road, as well as for individual practice. Vuyani was asked to participate in a video shoot to promote the AxePort Pro. (To see the video, please click on the link above, then click on the "Demo" pull down menu near mid-page of the AxePort Pro page). A review article was featured in Bass Musician Magazine based on a bass performance event in Chicago. 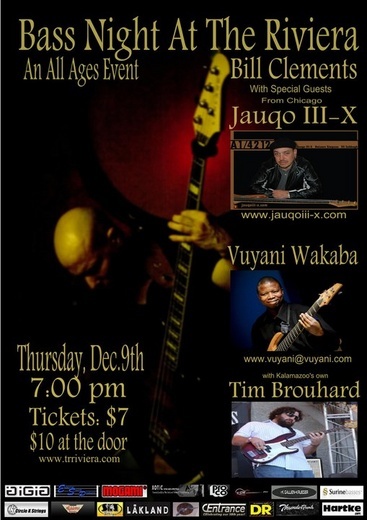 This event featured the following bassists with their bands: Vuyani Wakaba, Bill Dickens, Scott Pazera, John Owens, Bill Clements, Will Howard, and the event organizer Jauqo III-X. 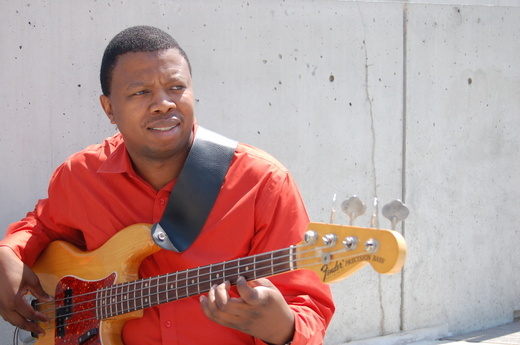 Vuyani Wakaba was interviewed by Bass Musician Magazine for an artist profile article. 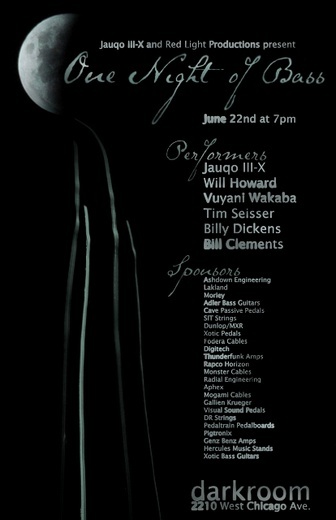 This artist's profile covers Vuyani's background, his current endorsements, and his performance engagements. 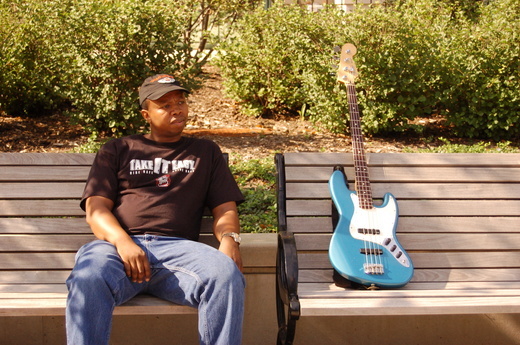 Online Bass Magazine Spotlights Chicago bassist Vuyani Wakaba. Thanks to luthier Harold J. Cagle of HJC Customs (www.facebook.com/pages/HJC-Customs) for recommending Vuyani to "All Bass, No Treble" for their player spotlight. 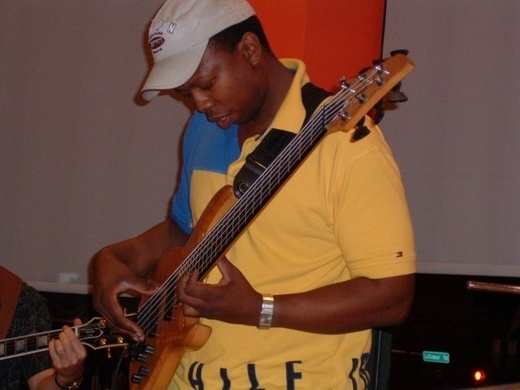 Vuyani Wakaba included in a feature of note-worthy bass players at the 2011 Winter Namm show by the web magazine "For Bass Players Only". The show was held at the Anaheim Convention Center in Anaheim, CA. 2. DNA 1X15 Speaker Cabinet Or Equivalent.